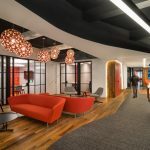 Capital One has committed to taking workplace design to a new level, utilizing data and research to ensure that their employees can thrive in their daily work experience. Office Expectations Are Changing – Is Your Company Ready? The Staples Workplace Survey found workers have rapidly changing expectations for the office environment. This is what employers need to know to keep workers happy and their businesses thriving.